Appeal to solidarity among fans! This two-part TV film, by Peter Kosminsky, about the historical reorganization of the British Labour Party between 1992 and 2001, coproduced by the BBC and Arte France, was broadcast in France on Arte in September 2003, then again in May 2005. The cable channel Histoire also broadcast it in May and June this year. Unfortunately, it is not yet available on VHS cassette nor DVD. 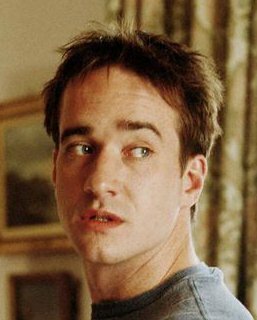 We beg anyone who has recorded this programme and wishes to share it with Matthew Macfadyen's fans all over the world, to please contact us. If you wish to lend us your support, please leave a user comment on that blog, in your mother tongue. I feel compelled to add my name to the proceedings!! Which means that you don't want Matthew to teach you French any more? Wow, thanks for the appeal, Matthieu!!! Keep me posted on whatever you find out! !